Leading an active life will make your heart muscle stronger and healthier. The good news is that you don’t have to be an athlete to enjoy and reap the benefit from the Y’s cardio classes. Move to the musical beat with ZUMBA® or select a low-impact class with high impact results. You’ll enjoy making new friends while losing weight and gaining energy. It’s never too late to build a heart-healthy future. An energetic class that gets your heart rate up as you kick and punch; improving your speed and enhancing your agility. Please refer to our online Group Fitness schedule for the most update class schedule. Dance fitness with high energy easy to follow choreography. Core work and stretching to round out this cardio blast. Please refer to our online Group Fitness schedule for the most update class schedule. Enjoy all the benefits of Zumba in this modified class designed for our speical need members. Please refer to our online Group Fitness schedule for the most update class schedule. A fat burning powerhouse workout. High Intensity Interval Training (HITT) is a short, intense, burst of physical activity, paired with intervals of quick rest. Duration of class is 30 minutes. Please refer to our online Group Fitness schedule for the most update class schedule. Latin Dance-Fitness fuses hypnotic Latin rhythms and easy to follow moves to create a dynamic fitness program. 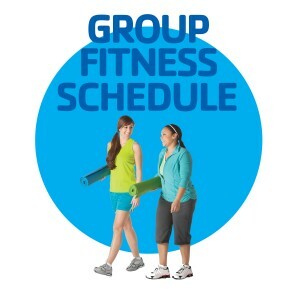 Please refer to our online Group Fitness schedule for the most update class schedule.